In this event report Jacqui Frost and Amanda Schutz cover the Association for the Sociology of Religion’s 2016 annual meeting. They detail the launch of new research projects into Understanding Unbelief as well as offering reflections from Woodhead’s lecture ‘Is No Religion the New Religion.’ Also, they share insights from a convened joint session on what social movement theories can tell us about nonreligion. This year’s Association for the Sociology of Religion’s annual meeting was taken place on 19th – 21st August in Seattle. The theme was Exploring Diversity: Varieties of Religion and Nonreligion. As a result, there were numerous panels and presentations on the importance of increased sociological investigation into nonreligious experience and community. While there were too many great panels to recount here, including Author Meets Critics sessions for Lois Lee’s Recognizing the Non-religious: Reimagining the Secular and Christel Manning’s Losing Our Religion: How Unaffiliated Parents Are Raising Their Children, the overall takeaway from the conference was that nonreligious experience is increasingly influential and sociologists will have no choice but to engage with it going forward. Kicking things off early Saturday morning was Lois Lee’s convened panel titled “Who Cares About Unbelief? Social, Political, and Legal Questions for the Scientific Study of Nonreligious Belief.” This panel came directly out of Lee’s new research initiative (with Stephen Bullivant, Miguel Farias, and Jonathan Lanman), the Understanding Unbelief Programme, which is offering research grants, early career awards, and public engagement funds to further scientific understanding of atheism and other forms of unbelief around the world. The panel was asked a set of questions regarding who, apart from social scientists and unbelievers themselves, might be interested in unbelief and why; in what ways the growth of unbelief will affect local communities, journalists, and public institutions; and how this growth will curb or create new social tensions. Overall, the panelists asked more questions than they answered, but the questions generated are likely to be a primary focus for many nonreligious scholars in the near future. Jessica Martinez from Pew Research Center tackled these questions from a political engagement angle, asking how changes in the religious landscape might result in changes to the political landscape. She discussed how the unaffiliated are now the largest “religious” group in the Democratic Party, but that the unaffiliated have historically been less likely to show up at the polls on Election Day. She raised questions about how the rise in atheists and agnostics among Americans will influence the 2016 election (if at all), and if the unaffiliated will become more politically engaged than they have been previously. Sociologist Rhys Williams focused on social movements and immigration, asking how unbelief might mobilize activism and foster commitment in social movements. He also asked whether nonreligious organizations and communities will be able to cultivate resources and cultural reproduction for immigrants—something that religious organizations have been so good at for centuries. Journalist David Briggs implored nonreligious scholars to help journalists get the story right by providing them with responsible summaries and statistics, and religious studies scholar Joseph Blankholm focused on organized non-belief. Finally, education scholar Alyssa Rockenbach asked how higher education influences nonreligious beliefs and behaviors. While there has been a lot of research about the “secularizing effect” (or lack thereof) that higher education has on religious students, Rockenbach pointed to the need for similar studies on the nonreligious students. The next day, Ryan Cragun convened a joint session with the American Sociological Association titled “What Social Movements Theories Can Tell Us About Nonreligion.” Rhys Williams kicked off the panel by emphasizing cultural context, boundedness, and resonance, and how nonreligious movements will have to overcome the legitimacy of religion in the American context by taking on similar forms but changing the content. Penny Edgell offered both “promises and pitfalls” of a social movement approach to nonreligion. Promises include a focus on identity and the cultural work that it takes to create nonreligious identities and movements. A social movements approach allows for a de-centering of belief and a shift towards lived, institutionalized nonreligion that moves past the dead ends of the secularization debate. However, Edgell argued that not everything should be seen through a social movements lens, and she argued that social movement theories often make the mistake of seeing identity as a “thing” as opposed to a set of belief and values that change over time. She argued for more work on “indifference” and stigma among the nonreligious, both of which require more than a social movements perspective. Joseph Blankholm focused on the “messy etymology of humanism” and the ways the secular humanist movement has co-opted the term to expand what the “secular” can mean. He described the boundary work being done by secular humanist groups as they navigate tax laws and church/state battles and attempt to set themselves apart from other humanist and secular groups, as well as religious organizations. The conference was—like Lee writes in her own report of Linda Woodhead’s lecture—a “celebration” of a young field of study that is “really coming into its own.” With too many relevant sessions to report, see this year’s conference program for more of the latest research focusing on nonreligion and secularism. The Association for the Sociology of Religion’s 2017 annual meeting will be held August 12-14 in Montreal, Quebec. Jacqui Frost is a doctoral student in sociology at the University of Minnesota. 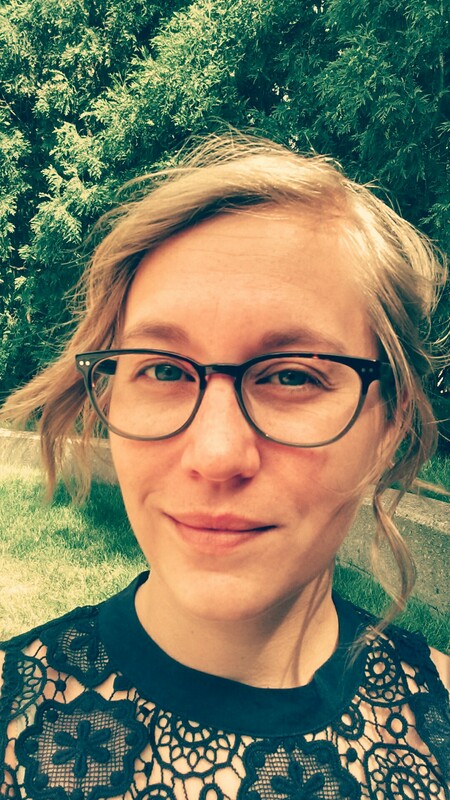 Her research focuses on non-religious identities and communities and her dissertation is an ethnographic study of the Sunday Assembly, a nascent network of non-religious congregations. As a research fellow with the American Mosaic Project, Jacqui is involved in numerous projects exploring religious and non-religious diversity in American life, including the influence of conservative religiosity on understandings of racial inequality, the rates and patterns of volunteering among the non-religious, and the influence of different non-religious identities on social and political attitudes. 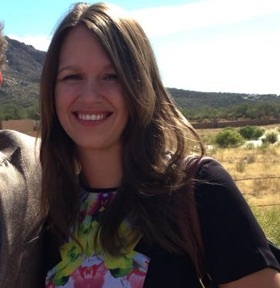 Amanda Schutz is a PhD candidate in sociology at the University of Arizona. Her dissertation research takes a qualitative mixed methods approach to understanding diversity in nonreligious organizations and individual involvement in such groups. Other research looks at atheist identity disclosure and gender differences in nonreligious experiences.